Between the Old and New Testaments there is a blank page. This blank page covers a time-period of about 400 years. Is that history silent? What happened during that period? 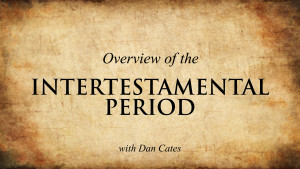 How do the events of the Intertestamental Period prepare us for the accounts of the New Testament? 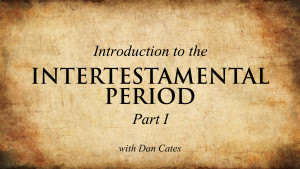 The period between the Old and New Testaments was a vibrant time in secular history; more importantly, it was a vibrant time in Biblical history as well. In this two-part Introduction to the Intertestamental Period, Dan Cates will guide the viewer in a study of the nations, individuals, events, locations, histories, and prophecies of this "blank page." 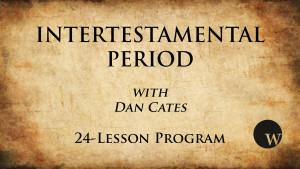 In this second session, Dan Cates continues his introduction to the Intertestamental Period. 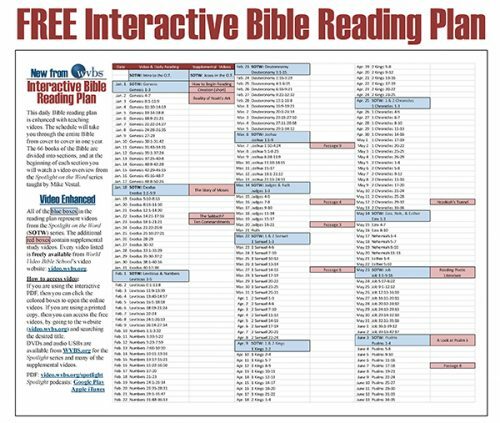 The lesson's focus moves from the more general historical details to the specific people and events that shed light on the New Testament accounts. 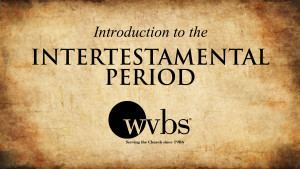 Though represented by no more than a blank page in most Bibles, the period between the Old and New Testaments was a vibrant time in secular history; more importantly, it was a vibrant time in Biblical history as well. Dan Cates introduces the interesting study about the nations, events, and prophecies of this "blank page."